Nick spots "some kind of duck-like creature"
Arctic Northern Norway is rich in wildlife, which can add excitement to any visit there. The landscape is largely untouched by man. Even when driving on the E6, or down the more populated valleys, you're aware of being on the edge of a great wilderness. 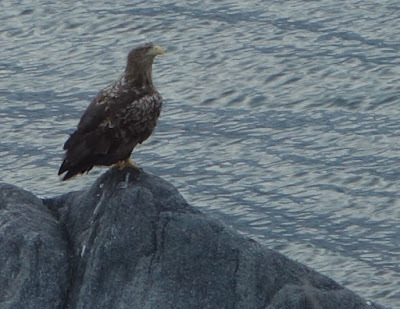 The health and variety of wildlife in Arctic Norway is probably best illustrated by the large variety of carnivorous predators at the head of the food chain. There are predators specialising in hunting in the fjords, in the air, and on land. But more of them later - it's enough to say for now that you are not going to be eaten by one. Unless you're very unlucky. 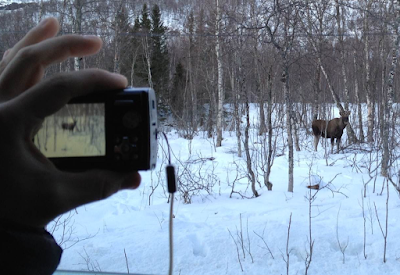 We've seen moose (elk) a few times, most recently a group of 3 large animals crossing the road a couple of hundred yards from our cabin at Skibotn. 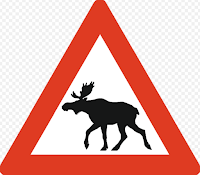 They are commonly seen - perhaps surprisingly so given the Norwegians' taste for moose burgers - and their tracks are everywhere. Sea otters hunt for fish along the shores of Lyngen fjord. We've told that a good place for spotting otter is from the E6 between Skibotn and Birtavarre, where it turns east. We haven't seen any in the Lyngen area yet, though we encountered one walking down the main street of Mefjordvær village, Senja, during our trip in 2012. 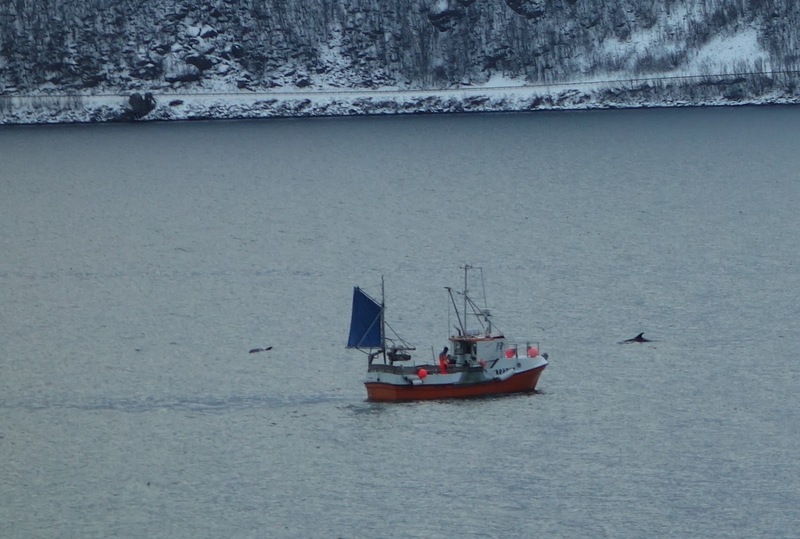 Whales and Orca are regularly seen in the area, though many of the whales move south before winter, following the herring migration. 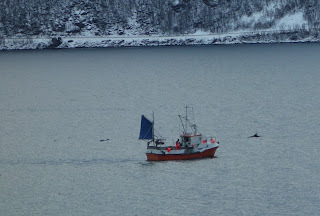 You can however see pods of porpoise here in winter, hunting the fjords for fish. 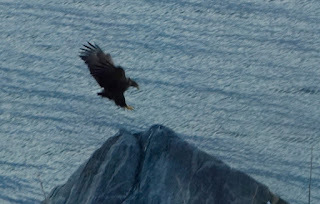 White-tailed eagles hunt the fjords and can be seen on a near-daily basis. They seem to have little fear of people. One swooped low over our car during our 2011 trip. Golden eagles can be seen flying over the dalen, too. Their prey includes Arctic hare and ptarmigan, both of which we saw on our trip in 2017. Eurasian Lynx and wolverine roam the valleys. There have been sightings in Skibotndalen and Kåfjordalen. These are shy creatures, though, so while you may well see their tracks in the snow you aren't likely encounter the animals themselves. But it's good to know they're there.